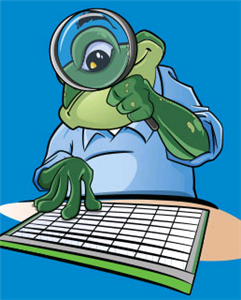 What is new in Spotlight on SQL Server Enterprise version 11.6? Spotlight on SQL Server Enterprise 11.6 is here! So what’s new? A Spotlight Client can now monitor connections from multiple Spotlight Diagnostic Servers in a federation. Spotlight Clients in the federation share the same custom views, templates, alarm actions and list of planned outages. 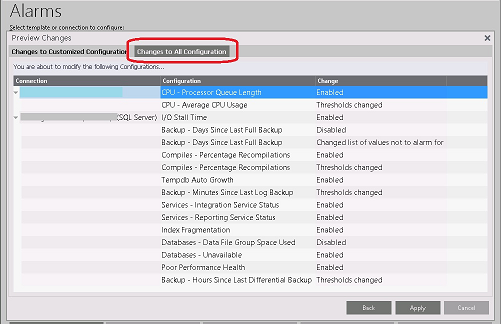 For more details about this new feature and step-by-step configuration refer to the Spotlight on SQL Server Enterprise Federation Guide . When applying the configuration of a template or connection to one or more connections, you can now preview all settings that are different to the Factory Settings in addition to just the settings where the customized settings have changed. This provides better visibility of what changes will be made to alarm configurations before applying them. 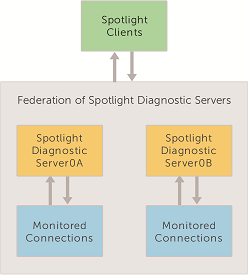 A new Spotlight Diagnostic Server home page shows status information for the Spotlight Diagnostic Server(s) connected to the Spotlight Client. Alarm Log now includes a new time filter. By default the alarm log is filtered to show alarms raised and canceled in the last 15 minutes. Use filter by time to extend this interval. Spotlight now supports Microsoft managed Service Accounts. You can now use the Java keytool to change or sign the Spotlight Diagnostic Server certificate. A Java KeyStore (JKS) is a repository of security certificates. SMTP Mail Options dialog of Alarm Actions feature was enhanced to add multiple email addresses can be added to the recipient list, one email address per line. 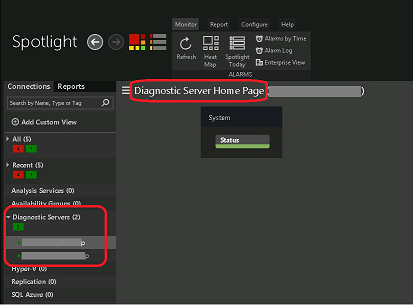 The Spotlight Management Pack for SCOM now supports agent-based monitoring. Spotlight Essentials now renamed to Spotlight Cloud can upload of data for health check analysis in real time rather than once an hour. Data is no longer stored on the Spotlight Diagnostic Server ready for upload. SQL Agent Jobs collection was enhanced to check the implicit required permissions versus overreaching sysadmin server role membership.